Wow! Our first semester flew by, but I say that every year. It was a great semester and students are making amazing progress increasing their proficiency levels. 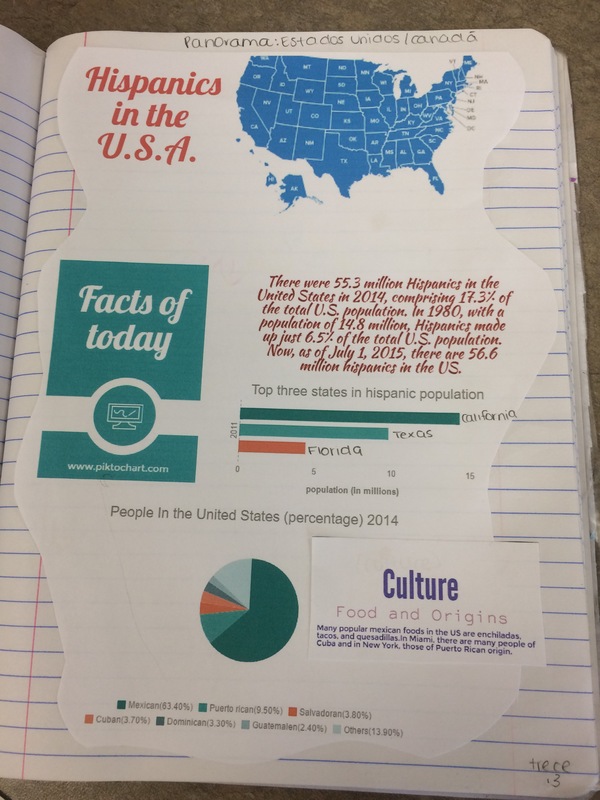 We strive daily to use the target language and although we don’t reach the 90% use of the target language as per ACTFL’s recommendation daily, we continue to make progress toward that goal. 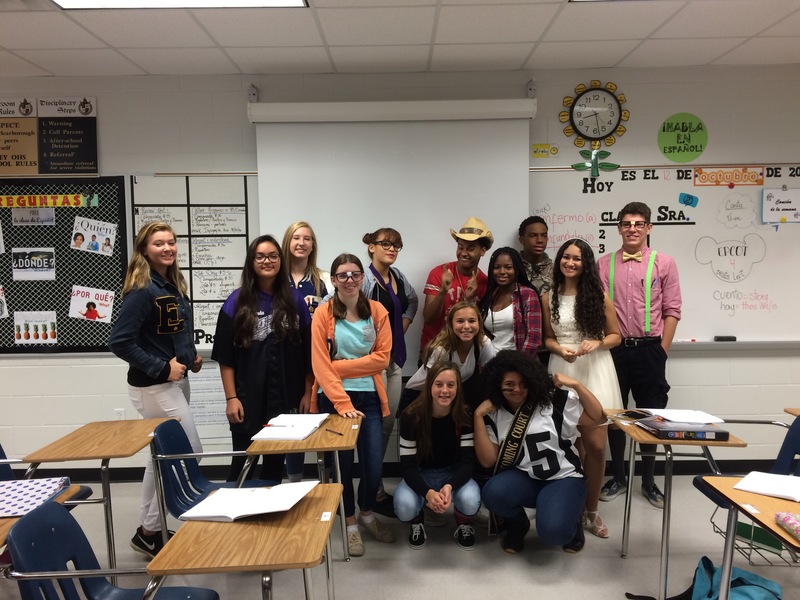 This semester my Cambridge Pre-AICE 1 classes started earning ClassDojo points whenever they catch me using English. Every class has at least one student who is quick to point out when I revert to using English unnecessarily. This has encouraged students to accept hearing the target language as our routine and has helped me to be mindful to provide daily comprehensible input to my students. 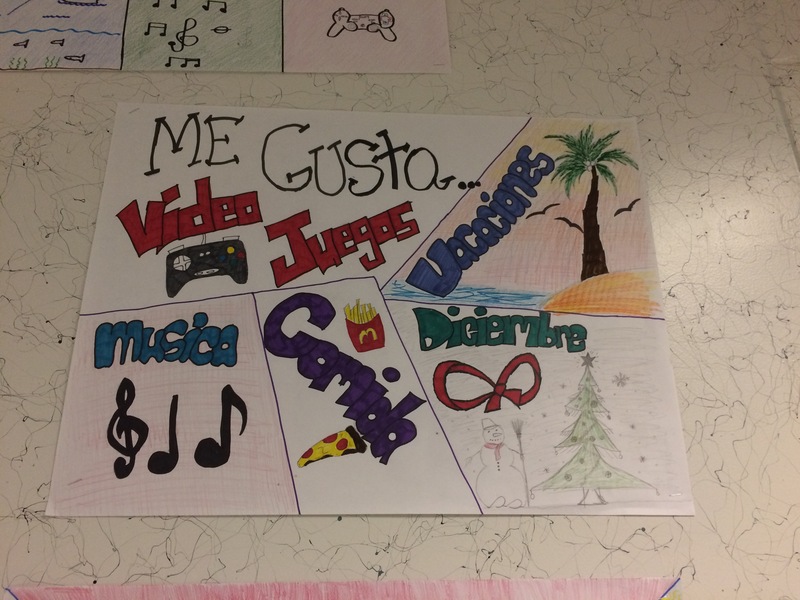 Each week we enjoy listening to our song of the week, “canción de la semana”. 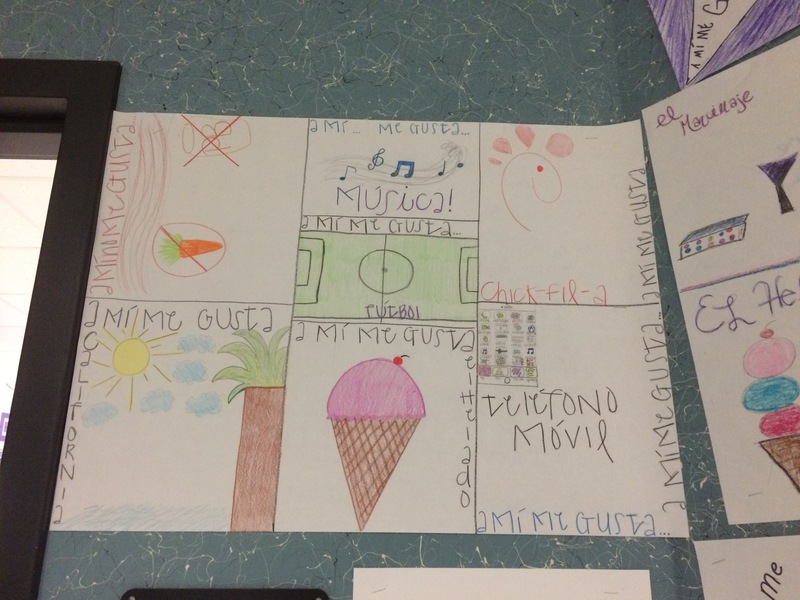 Two of our favorites this semester were Hoy es domingo and Soy yo. 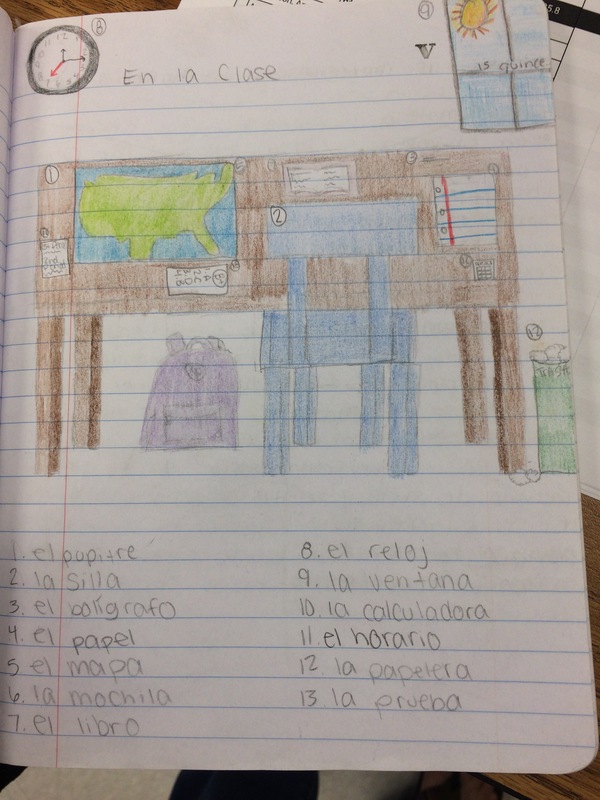 Students have daily opportunities to hear each other use the target language. 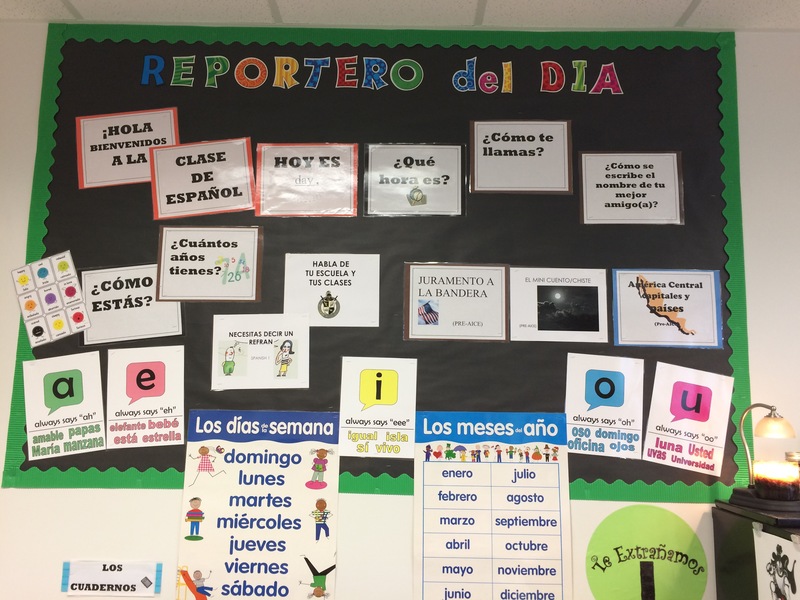 In addition to practicing and engaging in simple partner conversations, we have one or two students who act as our reporter for the day “reportero(a)” in front of the class. They answer prepared questions about our current topics as well as give some memorized information, the latter to focus on pronunciation. Students are randomly selected using ClassDojo which encourages them to be prepared. 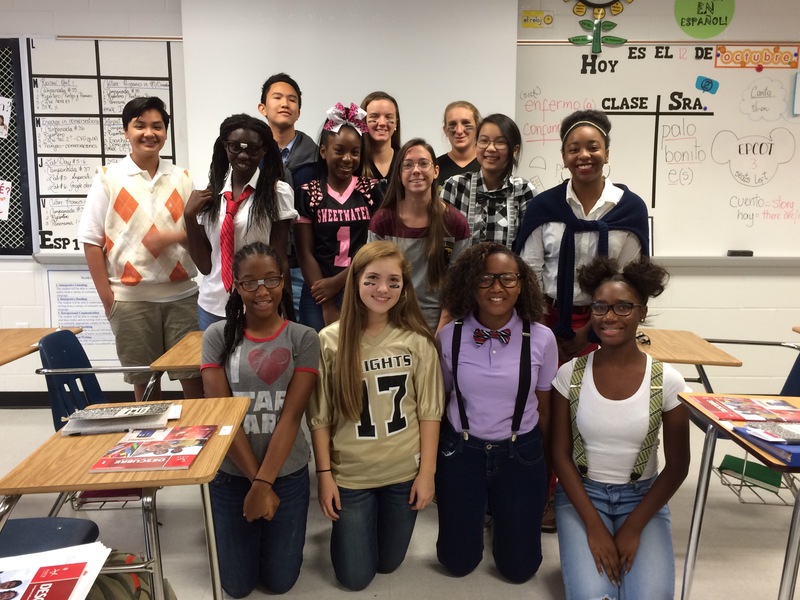 Students were timed on their most recent presentation to help them build fluency and they rose up to the challenge. Most of them were able to finish well under the allotted time. 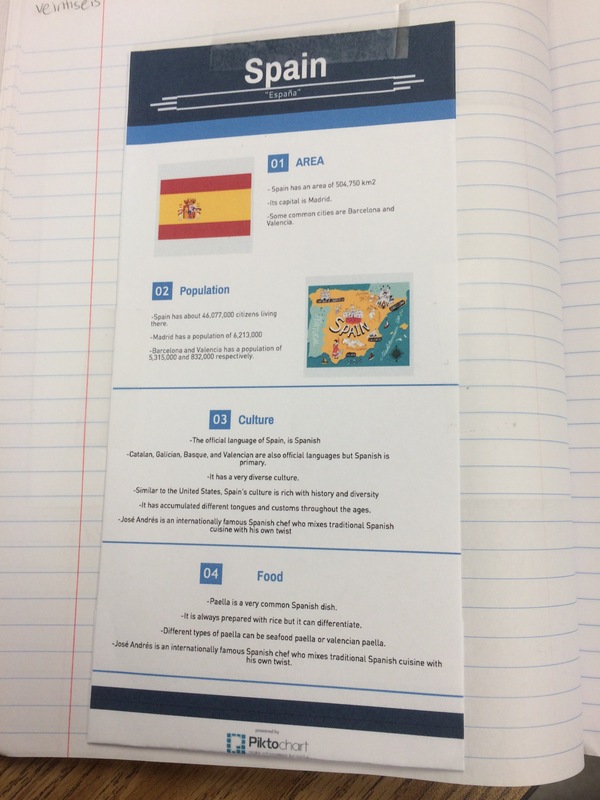 With the goal of increasing fluency, using comprehensible input, we tried something new and different. 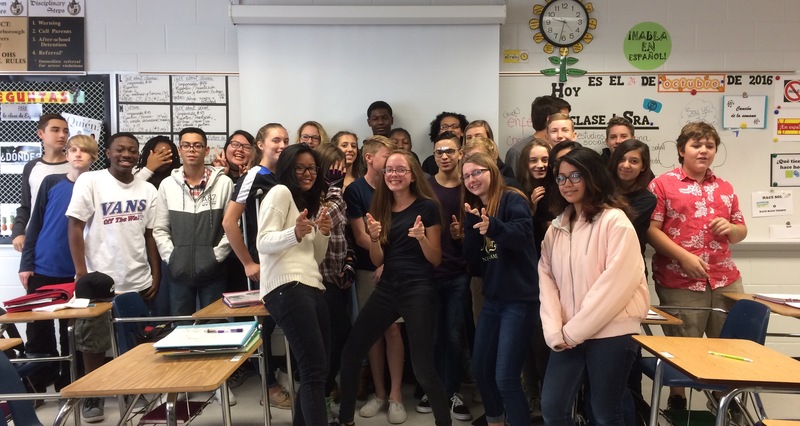 First, I presented in the target language a short story/joke using gestures and a pictures only PowerPoint, which helped students clearly understand the story/joke. Then, for the next several days as a class , we repeated the story aloud and with gestures as a brain break. 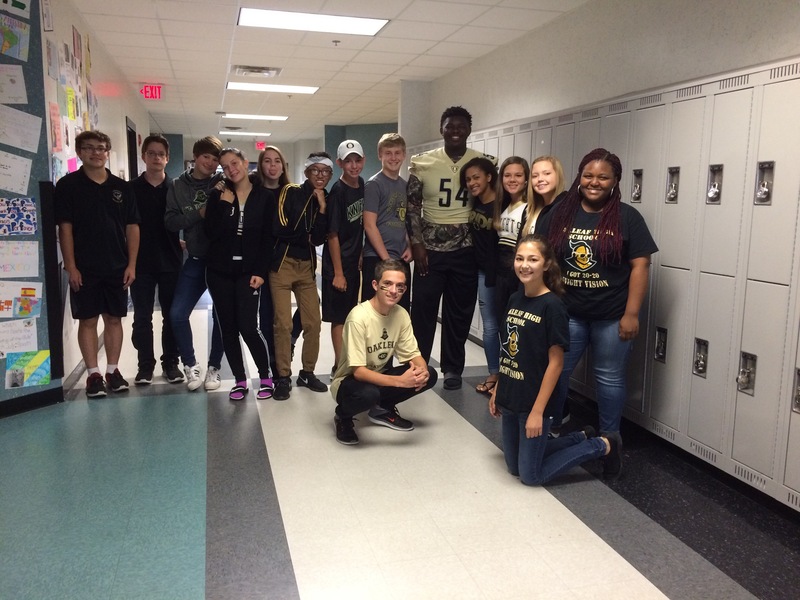 Finally, we took our “show” on the road and presented it to the AP classes. It was great having a different audience for a speaking presentation. 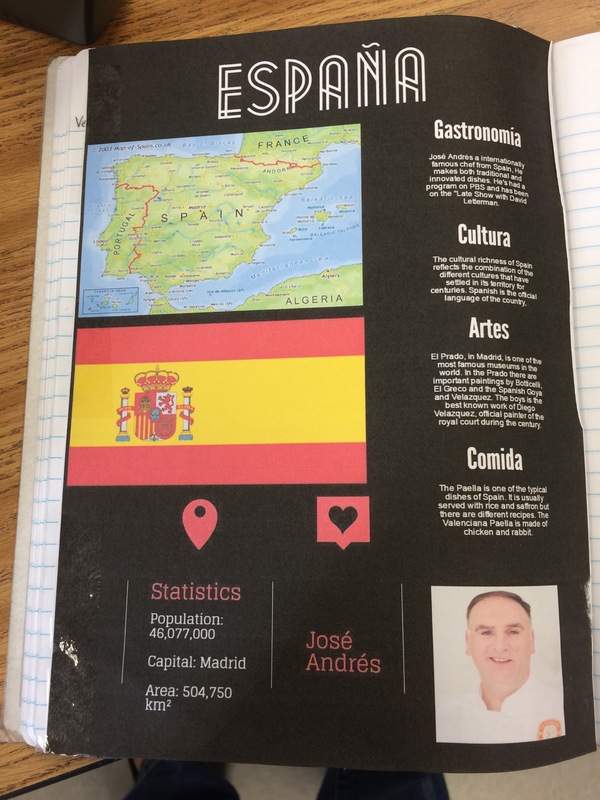 After reading in the target language and annotating our textbook articles about the US, Canada and Spain, students designed and created infographics using Piktochart or easel.ly They presented their infographics to their partners in class who rated them using a provided rubric. 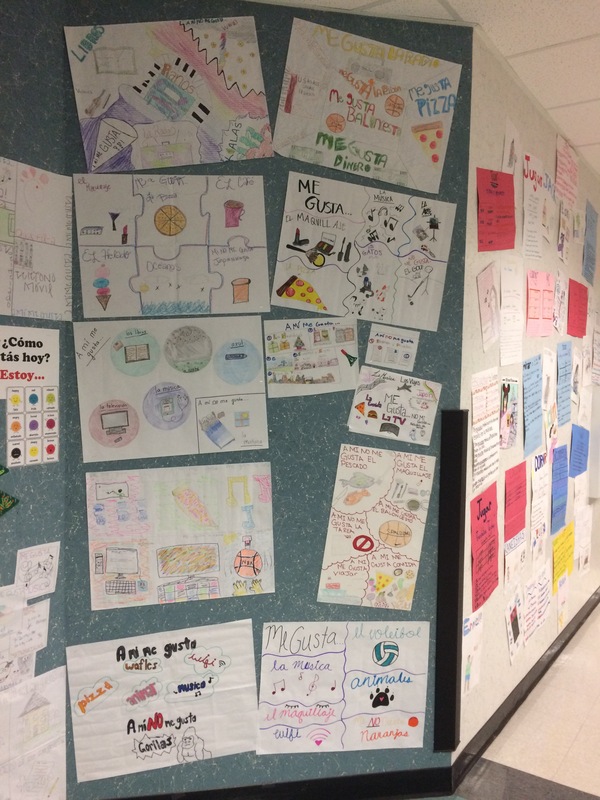 Students enjoyed giving and receiving feedback from their peers. 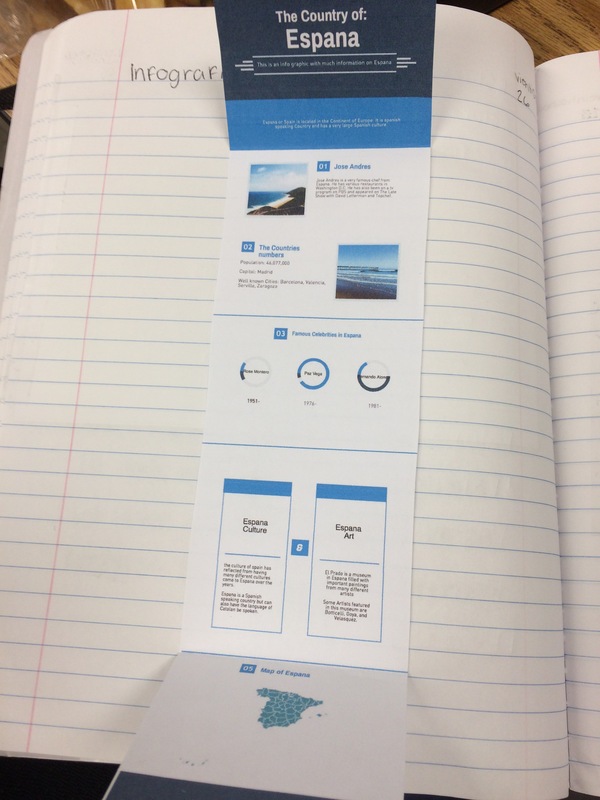 During our weekly lab days, we continued using the app Mic Note to record messages, practice before a presentation or embed recordings into a Google Slides presentation. 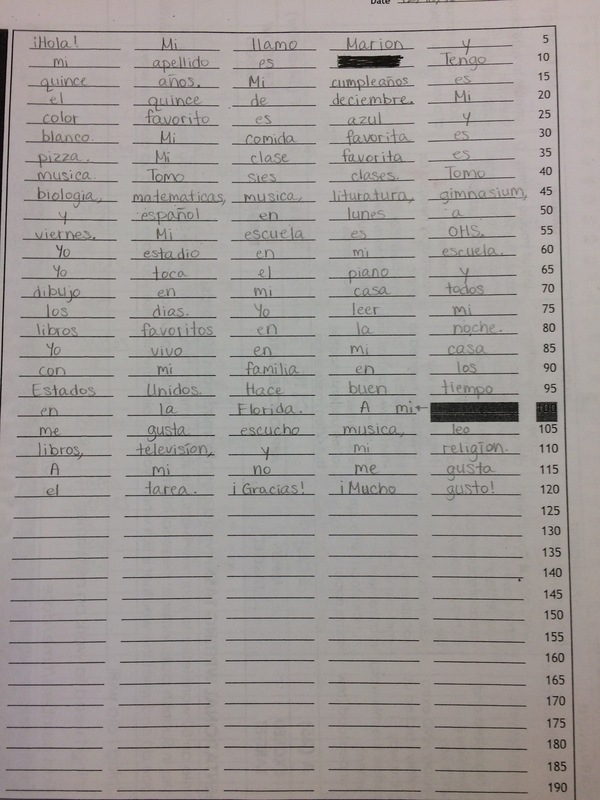 Students completed the recordings individually or with a partner or in groups, depending on the assigned task. We used Google Forms regularly for formative and summative assessments and surveys. When using Google Forms as assessments, students are able receive instant feedback on their responses and most of all, they loved knowing how they scored. We also continued using Quizlet Live and Kahoot! to practice vocabulary which always brings out everyone’s competitive nature. We also used our textbook’s video and listening activities to provide students different native speaker samples. 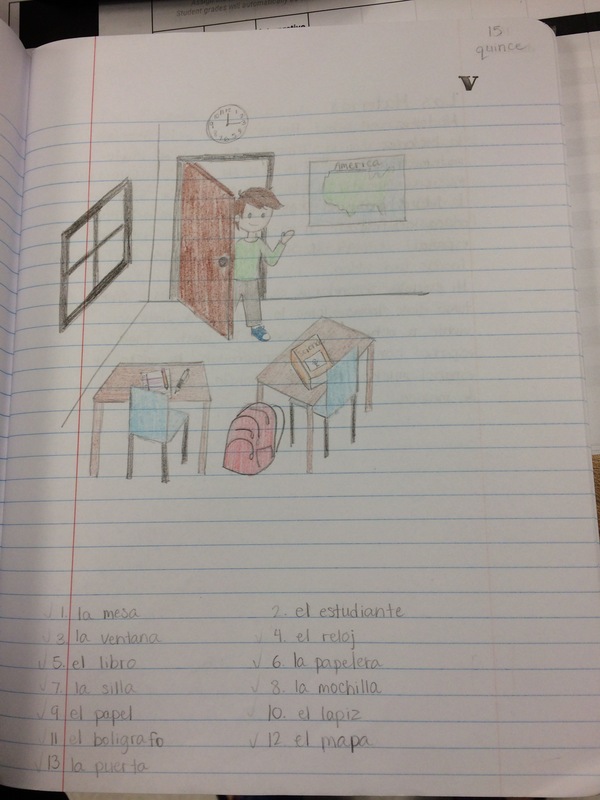 When we talked about what people do students created graphic organizers to include: the verb, translation, conjugation chart, sample sentences and an illustration of the verb. 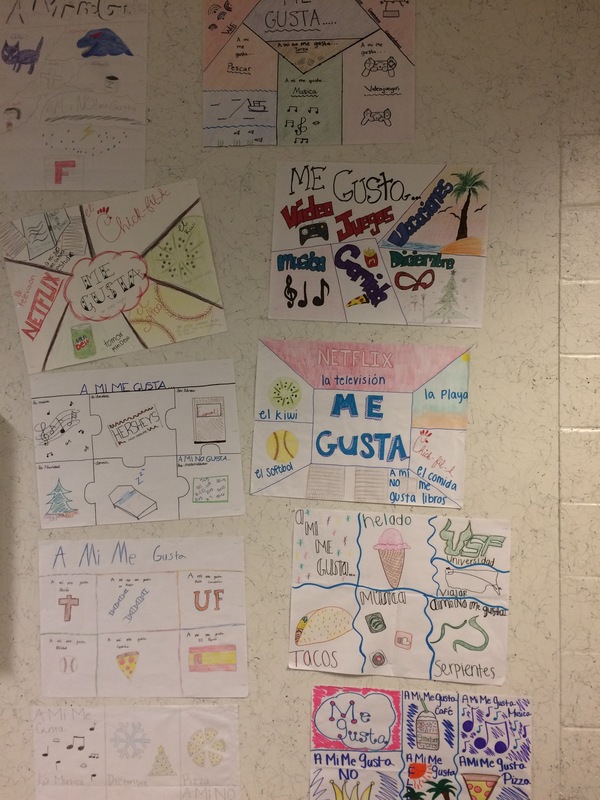 Similarly students created graphic organizer posters to talk about personal likes and dislikes and presented these to the class. 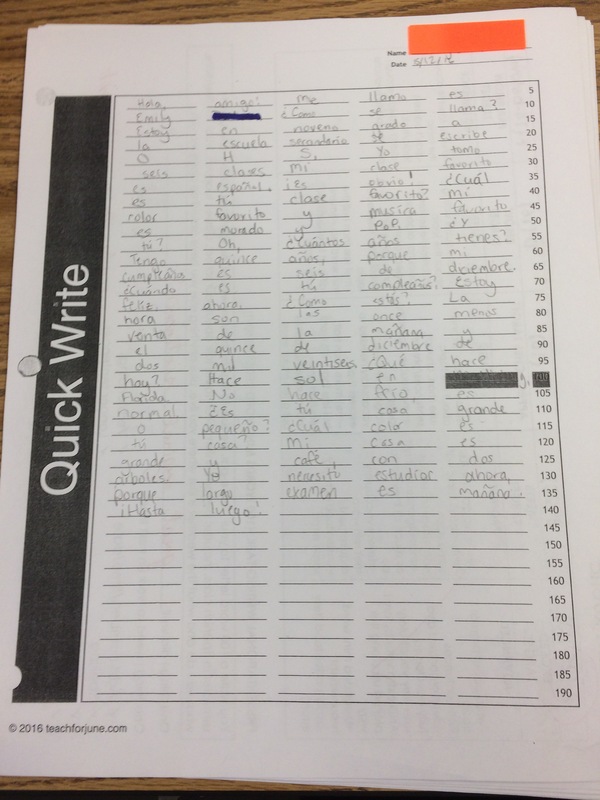 Students maintained an interactive notebook for vocabulary and grammar structures. 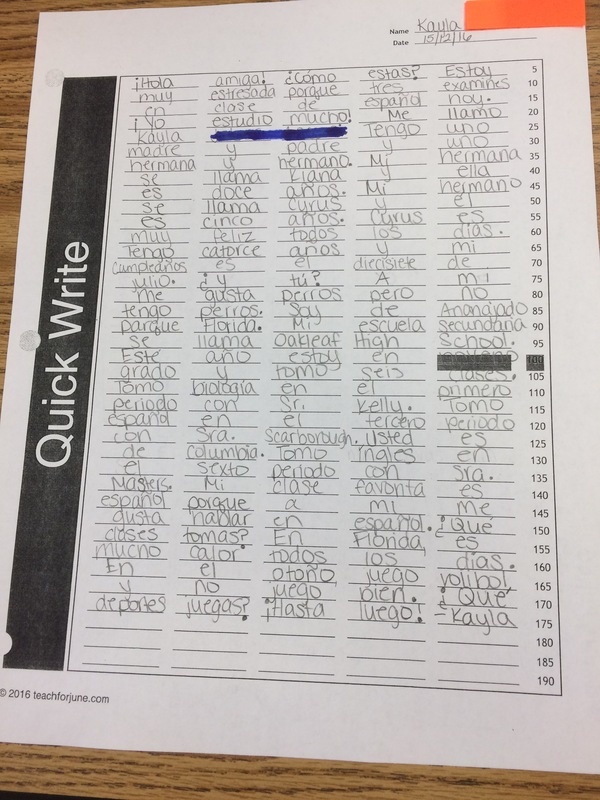 At the end of their first semester in Spanish class, students completed this writing assessment. 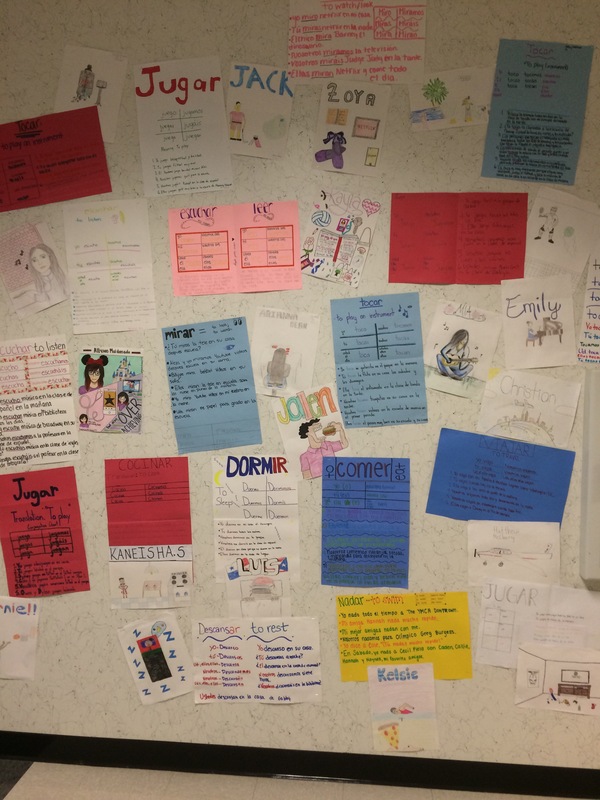 Although not flawless, they certainly were able to provide some simple personal facts and talk about teachers, classes, likes and dislikes and activities. Now, we’re looking forward to our annual field trip to Epcot next weekend!